UFC 193 main event sees bantamweight champion Ronda Rousey face the former professional boxer Holly Holm in Melbourne. Another easy win for Ronda Rousey? 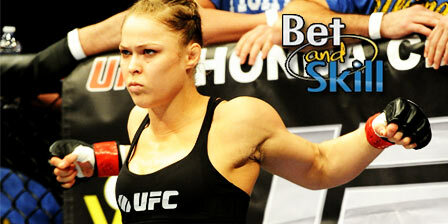 This article contains our betting preview on Rousey v Holm fight with tips, best odds, free bets and no deposit bonuses! UFC women's bantamweight champion Ronda Rousey is the firm favourite to win the bout in Australia as she has been undefeated so far in her career (12-0). Her most recent outing lasting just 34 seconds as she blasted through Bethe Correia in Brazil. The 28-year-old Californian has been thoroughly dominant, finishing all but one of her fights in Round #1. The Champion has 3 armbar victories in the UFC, all within the first round. She has improved on her boxing and Muay Thai, with three first round knockout victories (two via punch, one via knee) in her last four bouts. Holly Holm (9-0) may not have plenty of fights in mixed martial arts, but she is a veteran in her own right with am impressive 33-2-3 professional boxing record with 15 different championships under her belt. Anyway, decision wins over Marion Reneau and Racquel Pennington hardly suggest she is the woman to end Rousey’s reign. “The Preacher’s Daughter” has expanded her striking arsenal with thunderous kicks. Five of Holm’s knockouts have come by kicks to the head or body. She likes to fight at distance and throws a variety of long punches, but she is also dangerous fighting in the clinch with devastating knees. She is by far and away the best striker Rousey has ever fought. Crazy odds: 3/1 Rousey to win the fight by submission! 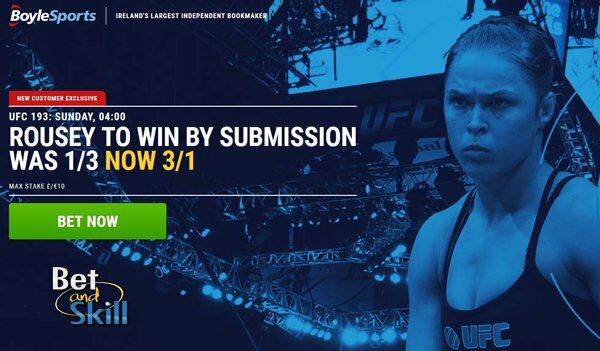 Price boost: get 3/1 Rousey to beat Holm (risk-free)! "Ronda Rousey v Holly Holm predictions, tips, odds and free bets (UFC 193)"